Hypothesis is pleased to announce that annotation is now available across all electronic files of books and articles published by Stockholm University Press. Annotation enables researchers and readers to more easily utilize this powerful tool to create private notes, establish private collaboration groups, or provide public feedback. Stockholm University Press is part of the Ubiquity Partner Network. By enabling the latest version of EPUB.js on their platform, Ubiquity made it possible for users to annotation with Hypothesis. Anyone can create a free account for use on any web-based content. Annotations populate to a user’s profile/activity page for ready access. Publicly visible annotations are included in the Crossref Event Data project for indexing by Google. Stockholm University Press is part of the University library at Stockholm University. 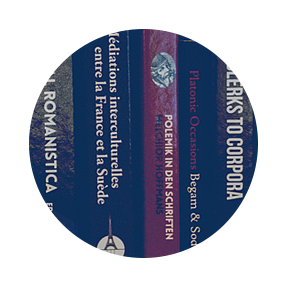 All titles are peer reviewed and made available open access, with CC-BY licenses,in multiple formats, including EPUB and HTML. Topics range from humanities to social sciences to natural sciences. Hypothesis is a US 501(c)3 nonprofit organization dedicated to the development and spread of open, standards-based annotation technologies and practices that enable anyone to annotate anywhere, helping humans reason more effectively together through a shared, collaborative discussion layer over all knowledge. Hypothesis is based in San Francisco, CA, USA, with a worldwide team.